We couldn’t possibly take leave of either Dance, Dance, Dance or the Randy Rooster, without showcasing their connection. 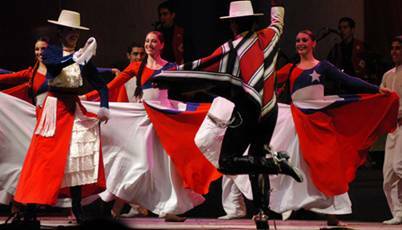 This national dance of Chile represents the courting between the rooster and the chicken, using, what else? a handkerchief as the ultimate flirtation device. The dance comes from the word clueca, meaning a hen about to lay her eggs. 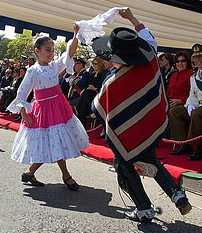 The dancers wave handkerchiefs above their heads which symbolize feathers, and/or the rooster’s comb. 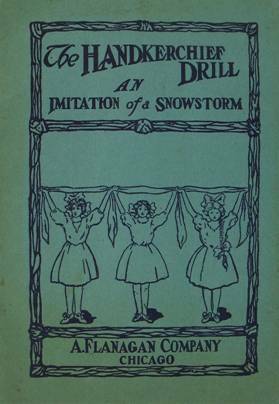 As early as 1907, Maude M. Jackson wrote an illustrated pamphlet for school children everywhere to learn the steps to The Handkerchief Drill, An Imitation of a Snowstorm. Oh dear. Just when a guy thinks he’s finally grown and can forgo those silly flutterings on the lawn, along comes a Handkerchief Dance for adults, and the poor dude is right back where he started, only this time in white tie and tails! 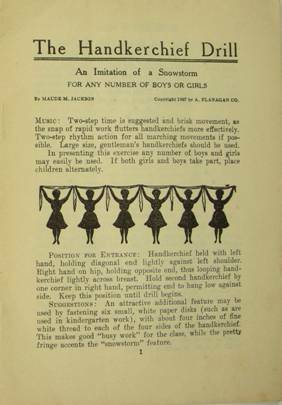 Paolo Peri’s wonderful book The Handkerchief presents an image of the Handkerchief Dance taken from the March 1914 issue of Femina. 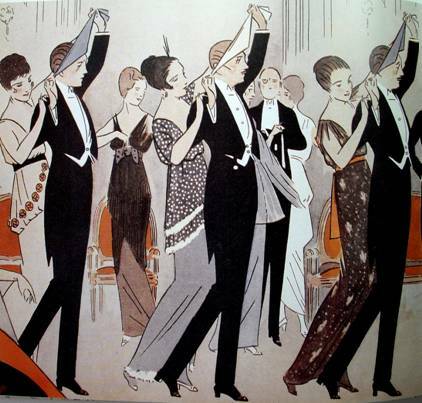 Interesting to note the men’s dancing slippers have a definite heel to them. You can surmise how this oh-so-elegant promenade could quickly morph into a comedy of errors from one single misstep. But they do look très élégant, I must admit. Moving on to 1932, the Boston Music Co. 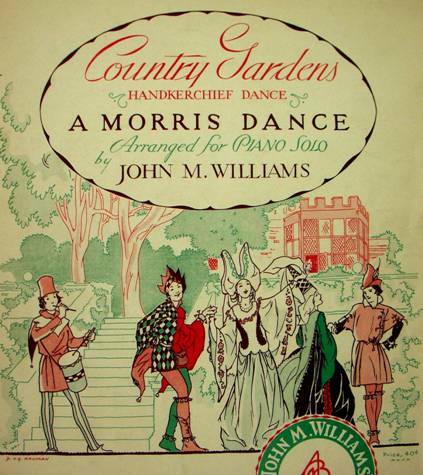 Published John M. Williams’ Country Gardens, a musical score written specifically for a Handkerchief Dance. My, they do look madcap and carefree. 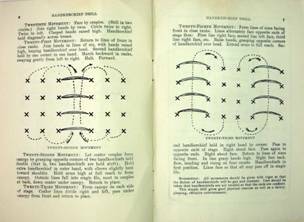 My favorite handkerchief dance, bar none, occurs in New Orleans with the second liners. The tradition originated with Jazz funerals. A band would play joyfully in honor of the deceased, and right behind the band would follow the “second liners” twirling parasols and large white handkerchiefs high over their heads, joining in the parade. 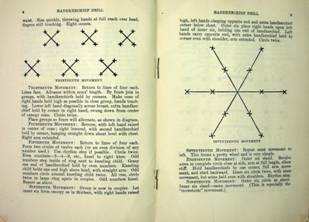 Second liners have now begun to appear at weddings, birthdays, and other significant occasions. The swirling sea of hankies puts everyone in a celebratory mood, and you can’t help but rise to the occasion and join in the fun. 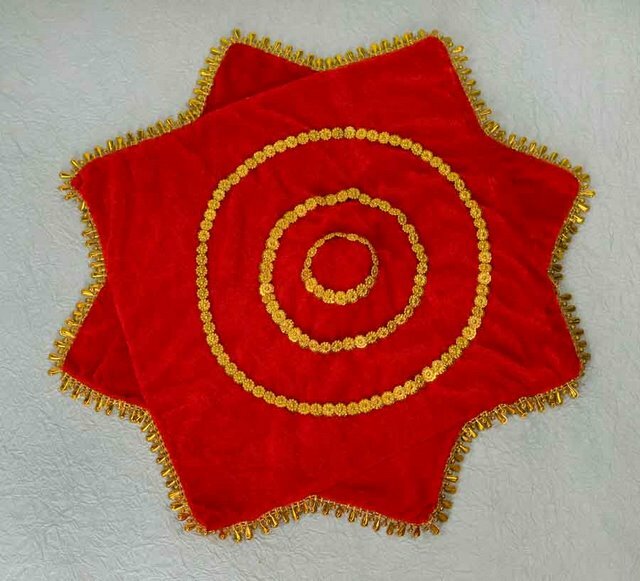 Second line handkerchiefs have become de rigueur party favors for weddings in certain parts of the south. The first time I joined a second line was at a New Orleans style wedding which actually took place in Carmel, CA. A group of friends of the bride’s mother actually drove across the United States with carloads of Cajun food. There were to be no ‘substitutes’ at this celebration. Everything was ‘the real deal.’ They cooked for a solid week before the nuptials. At the reception, I picked up a little piece of toast to help manage the crawfish étouffée, only to discover it had been cut into the shape of the state of Louisiana. Someone had painstakingly used a cookie cutter to customize every piece of toast! Yep, those people party with panache. 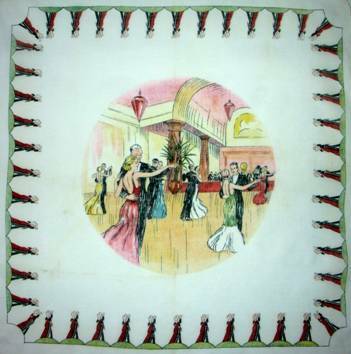 So, when you have the chance, whatever the occasion, grab your hankie, join in the fun, and, as we’ve advised before….dance, dance,dance! The fancy footwork on this tiny rooster will certainly capture his beloved’s heart. Many scholars claim it was Salome’s Dance of the Seven Veils which held the power to change history. 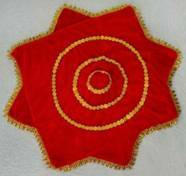 Veils/scarves/handkerchiefs – if you recall, historically handkerchiefs were once very large silk squares. Salome performed before Herod for his birthday, and so pleased him, that he granted her whatever she wished. She asked for the head of John the Baptist, on behalf of her mother, who despised John because he had declared her marriage invalid.